It's time to take back control of your money. 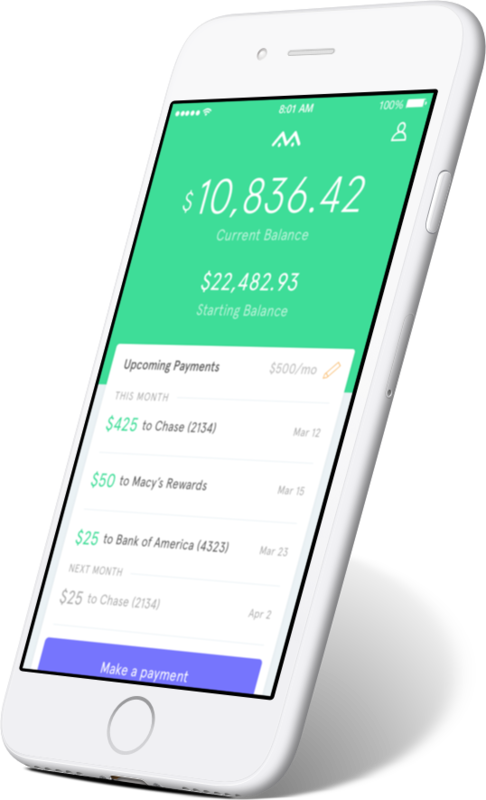 MasonPay gives you the tools you need to get out debt faster, save on interest, and start building your financial future. MasonPay helps people with multiple credit cards pay down their debt as quickly and efficiently as possible. We put money back in your pocket by helping you save on interest. By linking your credit card accounts, MasonPay is able to formulate a monthly plan that works within your budget – telling you exactly how much to pay and when. Breaking the cycle of debt can feel impossible. 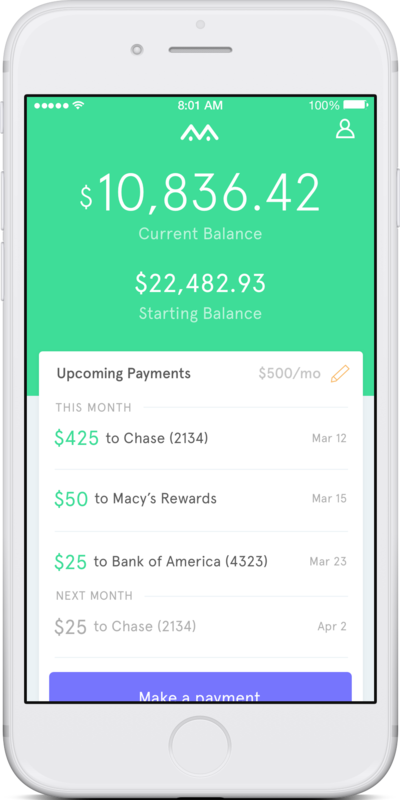 MasonPay alleviates that anxiety by providing a payment plan based on how much you can set aside every month, helping you get out of debt faster while saving on interest and fees. Do you know what your interest rate (APR) is or how much you’re paying in interest every year? Neither did we. MasonPay links your accounts and gives you insights that your bank tries to hide. The only thing better than paying down debt is seeing just how far you've come. Track your total balance as you make payments and compare against your starting balance. 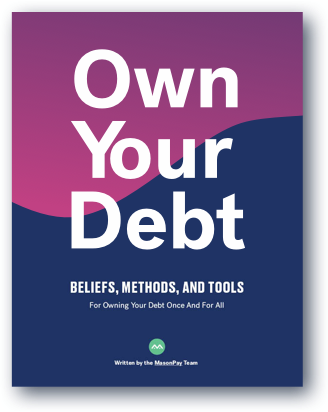 This guide was written with one goal in mind: What could we tell someone to help them as much as possible in becoming debt-free? It's not a list of "hacks" or tricks that you've seen before—it gets to the root of the problem and goes deep on the methods and tools. Plus, it's free...so what do you have to lose? Visualize your progress by tracking your overall balance and individual debt accounts. Make informed decisions about your payoff plan and what to expect. Check in throughout the month to see your payment plan in action. Always know where you stand with a living dashboard of your accounts. © MasonPay, 2018. All rights reserved.